My group works on drinking water pipes, not ducks. We study how organic carbon leaching from polymeric pipe material results in selective biofilm formation in building plumbing systems. 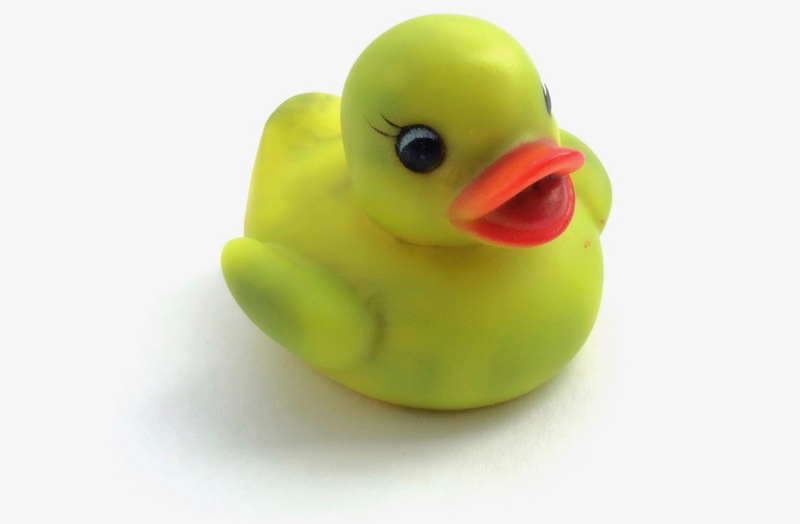 But then two years ago, a colleague walked into my office with her daughter’s little yellow bath duck and - to my slight bemusement – suggested that the duck surely has the same issues as the flexible plastic shower hoses that I talk about so much. And thus, the unfortunate duck was slaughtered about a week later while I was slogging through a muddy Ardennes forest with two fellow scientists. A hastily mailed image of that duck’s innards sparked some colourful discussions between weary hikers (fuelled by exquisite Belgian beers) on the exciting future study of duck microbiomes. (The side-story here is that hiking and beer is really good for science!). Back in Switzerland, a first look at literature suggested that ducks, at least those of the bathroom variety, are not particularly well-studied from a microbiome perspective. 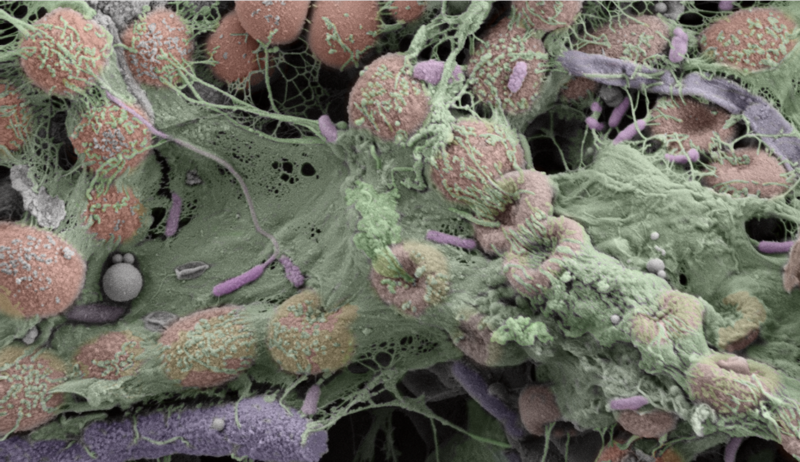 Some so-called “mommy-blogs” recognised the problem and proposed tricks to clean ducks, but nearly no information was forthcoming on how and why these biofilms actually developed. To start the project, I first recruited bachelor student Carola Bänzinger, and then added Lisa Neu – who was a brand-new PhD student in the group. The haunting images of these two dedicated researchers working in their rubber duck slaughterhouse will remain with me for some time to come. Upon observing obvious signs of fungal infections in most ducks, we invited Wen-Tso Liu and Ya Zhang from University of Illinois at Urbana-Champaign to join the project with expertise on 18S analysis, while shower hose expert, Caitlin Proctor, from my group joined the team to support with 16S analysis and interpretation (who could ever say no to this project!). Arguably the toughest part of the whole project was convincing kids to depart with their beloved bath ducks, often resulting in lengthy negotiations over the appropriate remuneration (and I confess – we were not always forthcoming with the fact that the toys were going to be slaughtered in the name of scientific progress). The long and short of this story is that these bath ducks find themselves in an interesting junction where (1) their low-quality, carbon bleeding, flexible polymeric material meets (2) the building plumbing microbiome (from tap water), (3) the human microbiome (from the bathers) and (4) additional nutrients from wash-products and body fluids. The result is the development of a diverse duck-microbiome that may contain pathogens and to which the vulnerable end-users (i.e. the young owners of said ducks) are exposed to through squirting water into their ears, eyes and mouths. We started this project simply because it looked like a fun thing to investigate, but it turned out to be interesting and relevant, and an absolute great example to use when communicating with both scientists and non-scientists about the role of plastic materials in biofilm formation. The fact is that microbes are ubiquitously present in the built environment. That said, our current inability to properly control and manage such microbiomes certainly warrants ongoing investigations. Disclaimer: “Ducks” are used above as the collective for crocodiles, mice, footballs, ships, dinosaurs, and a number of other bath inhabitants.